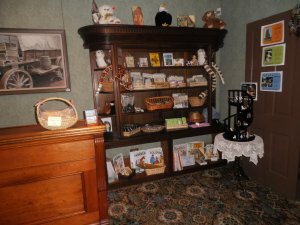 The Leonis Adobe Museum and Gift Shop are open to the public Friday through Sunday. The Leonis Adobe Museum is closed to the general public: Monday - Thursday, and major holidays such as: New Year's Day, Easter Sunday, 4th of July, Thanksgiving Day, Christmas Eve & Christmas Day. Please refer to our Adobe Calendar for official closed days. To learn more about our Educational Tours & Guides please click here. For information about our Weekend, Group & Private Tours, click here. For information about Calabasas Creek Park, click here. * The Leonis Adobe Museum public operating hours are subject to change during special events and an admission fee may be required to enter the museum grounds. Please check our website homepage for the latest updates & events or follow us on Facebook or Twitter. * Calabasas Creek Park public operating hours are subject to change due to occasional private school tours. * Group and Private tours are available by appointment. Please call (818) 222-6511 for special arrangements.